THE SECTION OF THE VINTAGE HOFNER WEBSITE WHICH DEALS WITH THE MANY GUITAR AND BASS GUITAR MODELS PRODUCED BY THE HOFNER COMPANY FROM THE LATE 1940's UP TO THE PRESENT DAY. "120 Years Service to Music"
Hundreds of scans of the Documents discovered in the Höfner Company's own office files. These cover almost the entire history of this long-established stringed-instrument maker. 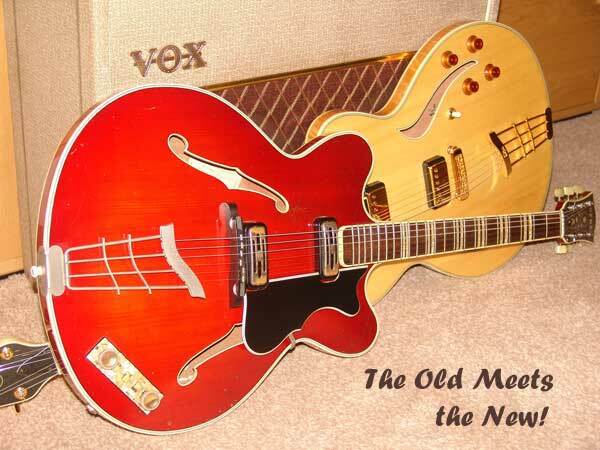 Just about every Hofner model and model variant is illustrated in this gallery. It is therefore intended as a tool to help you identify your own Hofner. If you own a Hofner Committee, Golden, Deluxe, President, Verithin, Senator, Club, Congress, or 500/1 Violin Bass, you can register it on this website. The details that you supply about your guitar will also be made available on the website to help us all understand further the development of that model. Other Hofner model registrations will be set up in the future. 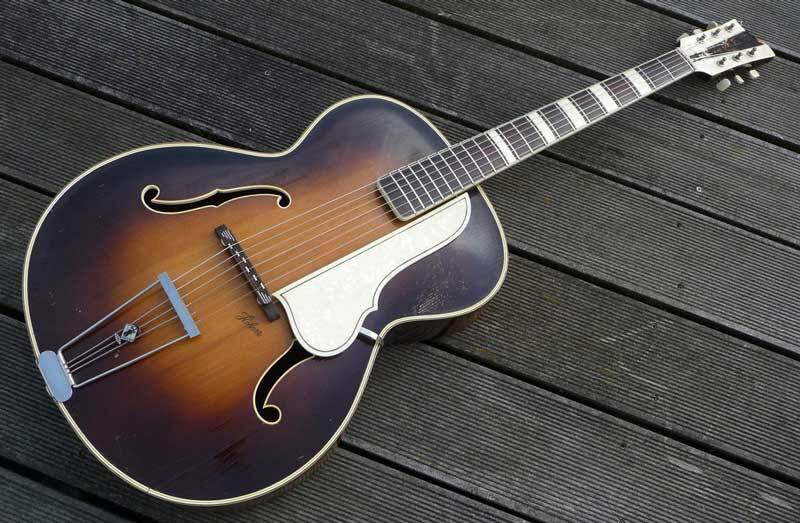 Individual topics to assist in dating and identifying Hofner models particularly in the Selmer range, but also with some topics of use hopefully to owners of non-Selmer models. A detailed look at some of the Hofner guitars that I own or have owned in the past. If you have gained something from using this website, perhaps you may wish to consider making a small contribution, (the cost of a cup of coffee maybe), towards its upkeep? 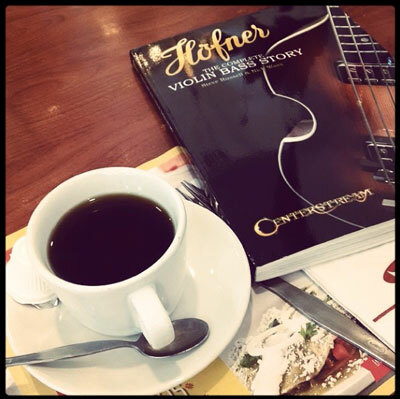 The Complete Höfner Violin Bass Story, produced by Steve Russell & Nick Wass, is published by Centerstream Publications. It is available from several outlets worldwide, including Amazon. Photo courtesy of Eduardo Capdeville, Mexico. 1960 Hofner Verithin & 2003 Hofner Verythin Classic. Copyright © Steve Russell 1999-2019, except for those parts where copyright ownership by others is clearly indicated.